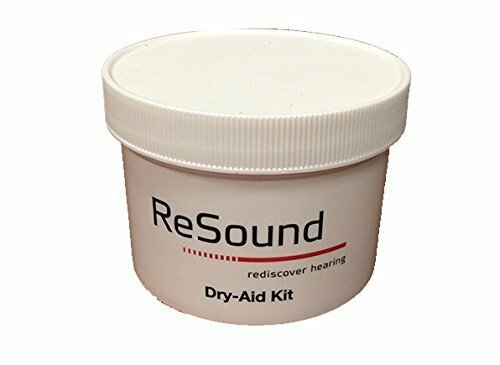 ReSound GN Hearing Aid Dehumidifier Jar with Microweable Desiccant by Resound at Get Cheap Health Insurance. MPN: unknown. Hurry! Limited time offer. Offer valid only while supplies last. Compare to Seimens Stay Dri and Audiologist Choice Dehumidifiers. Removes moisture from your hearing aids by placing them in a jar of the Stay Dri. Compare to Seimens Stay Dri and Audiologist Choice Dehumidifiers. Removes moisture from your hearing aids by placing them in a jar of the Stay Dri. Stay Dri can be reused many times and is rejuvenated by microwave or heating in the oven. If you have any questions about this product by Resound, contact us by completing and submitting the form below. If you are looking for a specif part number, please include it with your message.